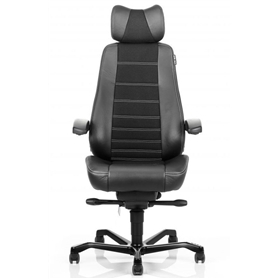 versatile chair for senior personnel, workstation and heavy duty environments. 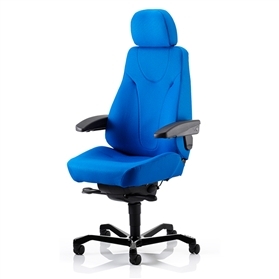 Backrest angle adjustment to 16 degrees, Air lumbar support, Tip-up armrests, Contoured cushions, Seat tilt, Seat tilt tension adjuster, Height adjustment 100mm (gas assisted), 5 star base, Double wheel castors, Robust steel frame, Service parts available, Headrest height & tilt adjustable. Available in leather or fabric.